I started this swatching fest with the yellow one and discovered that the only way I could get an opaque, bright and color accurate finish is when I layer it over white undies. So, these swatches are all with a base coat, one sheer coat of white polish, two coats of color and NO top coat (unless otherwise mentioned). Also, these all dry extremely quick. By that I mean, it dries while applying. Yes, that fast! I found that I get the best result by working fast and applying the polish ‘flowing’. Otherwise you’ll definitely get brush strokes. And let’s face it, nobody want that! That said, get your sunglasses ready, because some of these may hurt your eyes! 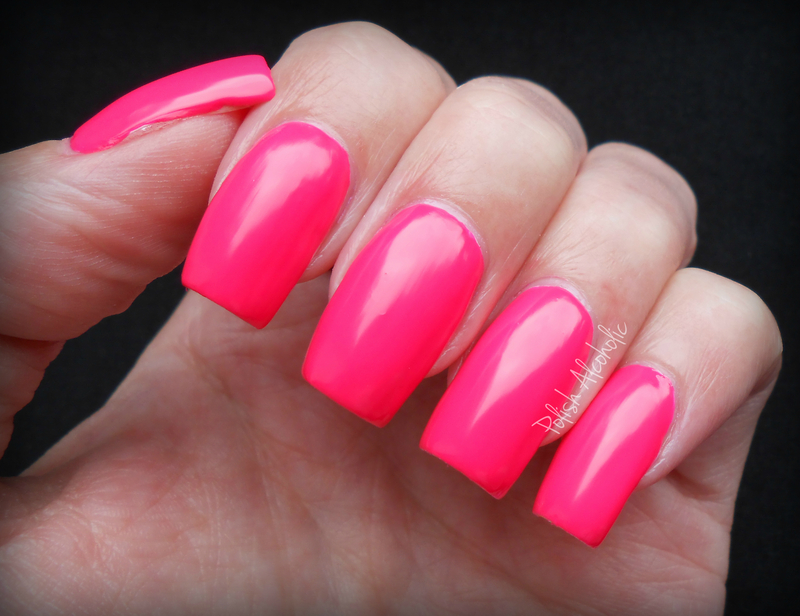 Pink Punch, a medium neon pink hue with strong corally undertones. 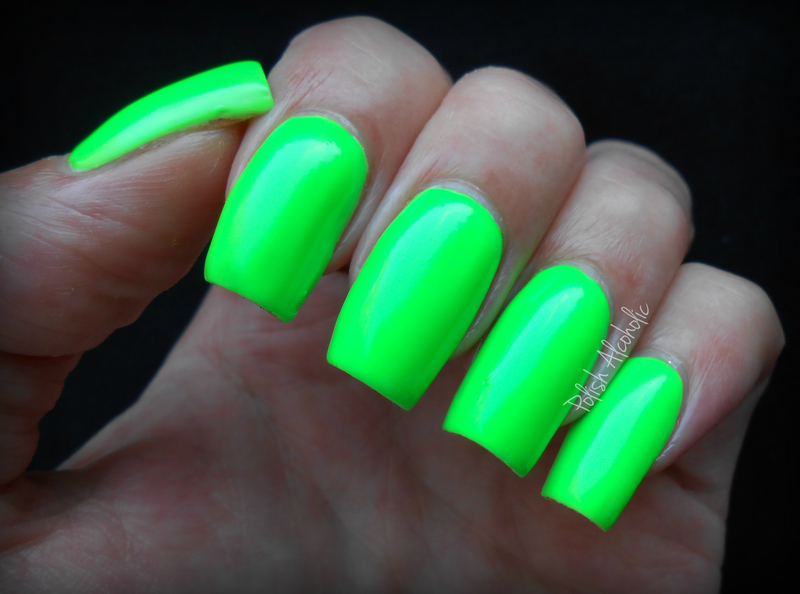 Great shade for Spring and Summer! 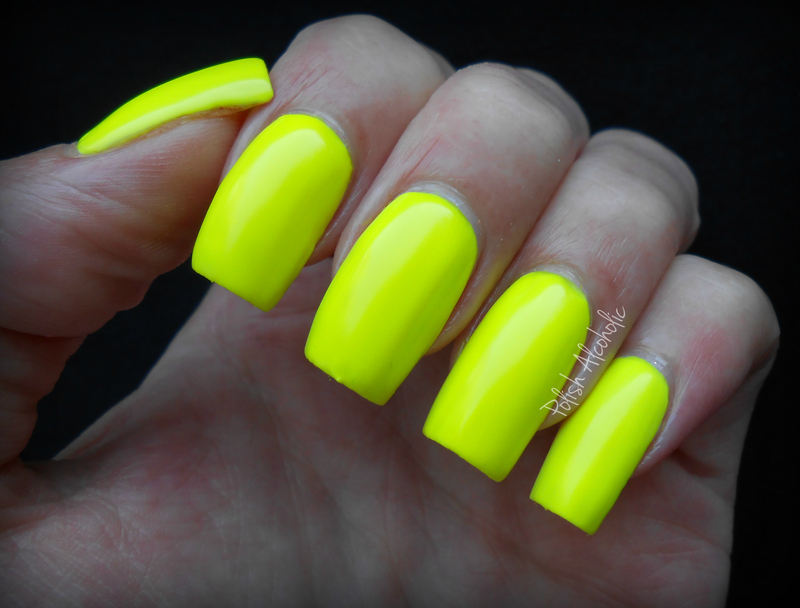 Luis Lemon, the brightest neon yellow I’ve seen so far! Amazing! The only one that just refused to get color accurate on camera is Pukka Purple. In real life this is way more purple and brighter! Unlike the others from this collection, this don’t need white undies. This is so extremely pigmented that I believe it only requires one coat for full opacity without undies. Also, the formula is really thick, almost rubbery. Not the easiest one to work with. As the name says Toxic Apple is just toxic! My goodness, look at the brightness. If this wasn’t my own swatch, I believe it when someone told me this is a glow in the dark polish of which the picture is taken in the dark. This picture is, as usual, taken in daylight. For real! I totally love this! 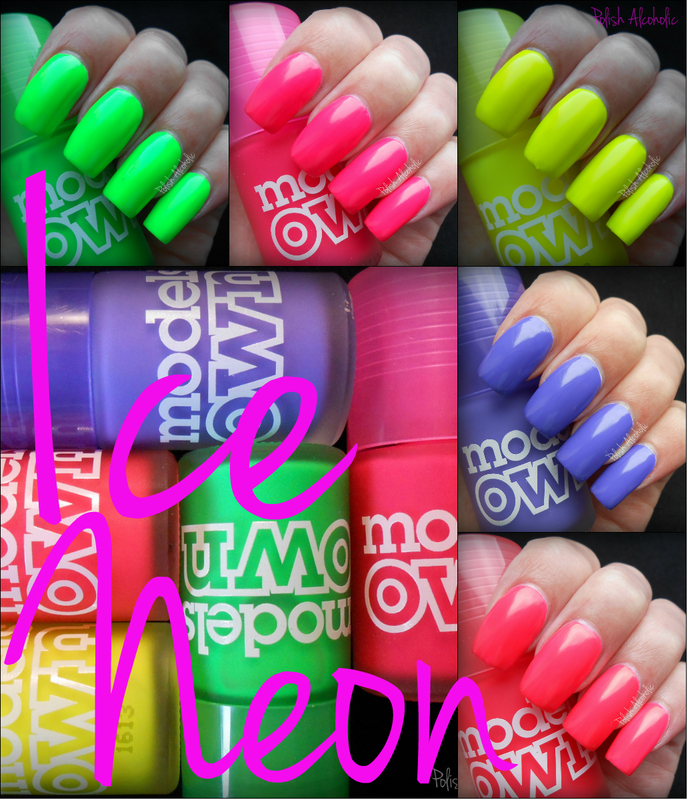 The hot pink neon hue from this collection is called Bubblegum. In one word: love! What do you think of this collection? Which one(s) is/are your favorites? This entry was posted in Models Own and tagged models own bubblegum, models own ice neon, models own luis lemon, models own neon, models own pink punch, models own pukka purple, models own toxic apple by Polish Alcoholic. Bookmark the permalink. Oh my goodness, these are amazing! I am in love, must get these asap! Oh…. My…God!!! I’m in love! I’m going to have to go buy these jems ASAP! Thanks for sharing, they look great on your nails! These will so go on my lemming list!! The colors are amazing!! Thanks! 😀 Enjoy your prize! You’ll love it! It’s awesome! I love these, but I just cannot be bothered to keep polish in my fridge, haha. Great swatches! Oh my gosh, Toxic Apple is insane! Beautiful! Pink Punch is my favorite. No problem my lovely ! They look so gorgeous on you !